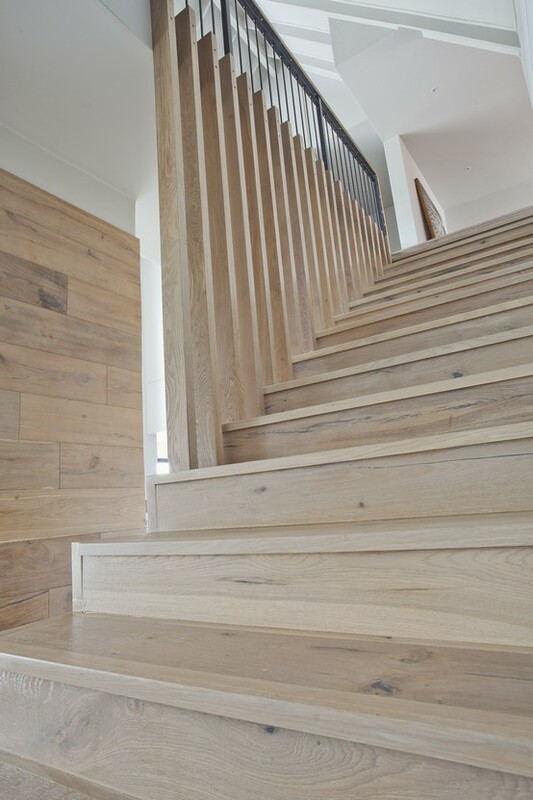 Choosing FinOak engineered wood floors to complete our dream home. 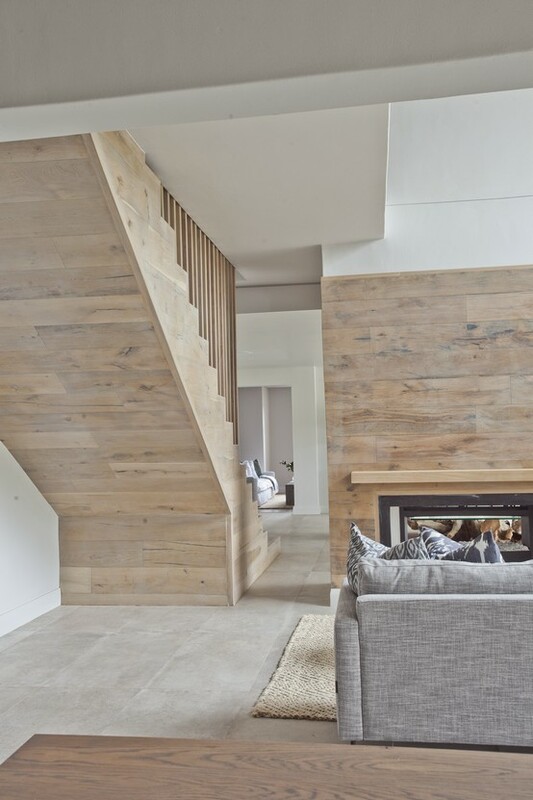 Wooden flooring is traditionally a product that has been manufactured and designed for use as a floor. 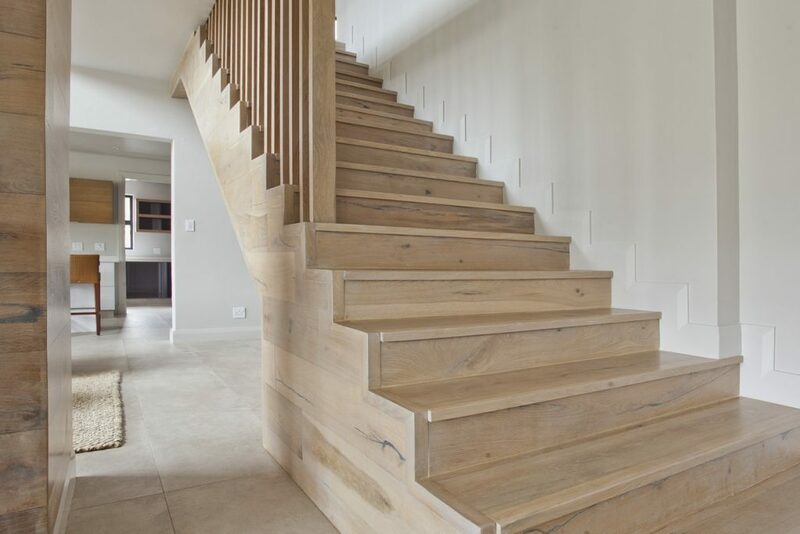 However in recent times with engineered wood floors being the most common type of wooden flooring used globally many clever designers, architects and installers alike have found many more uses for the product. 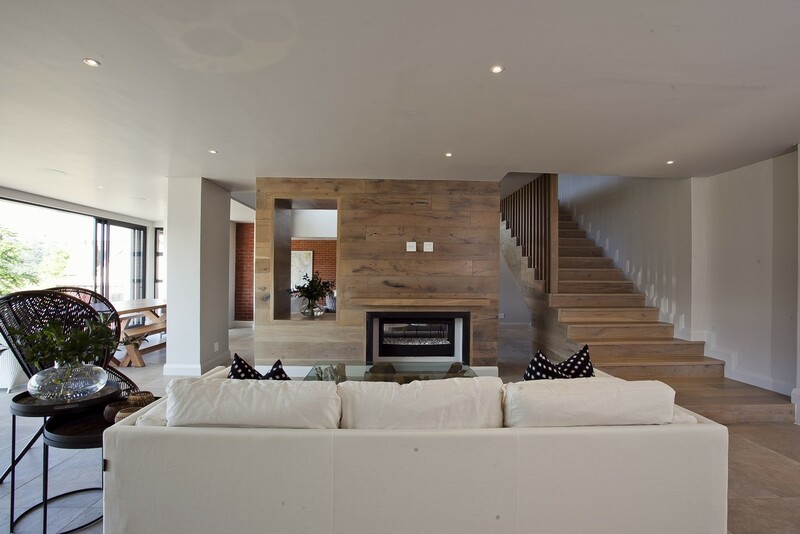 And such was the case for this recently completed KwaZulu Natal home. 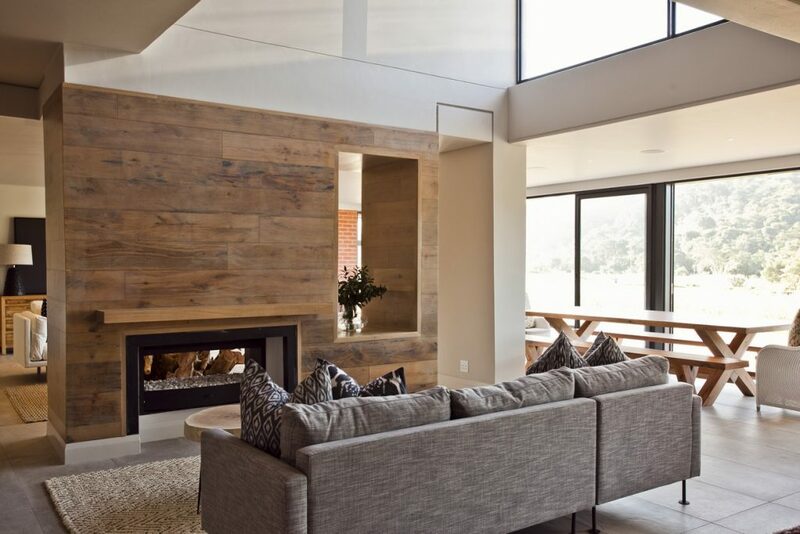 The home was designed around a central living area with a double-sided feature fireplace to separate the lounge area from the dining area. 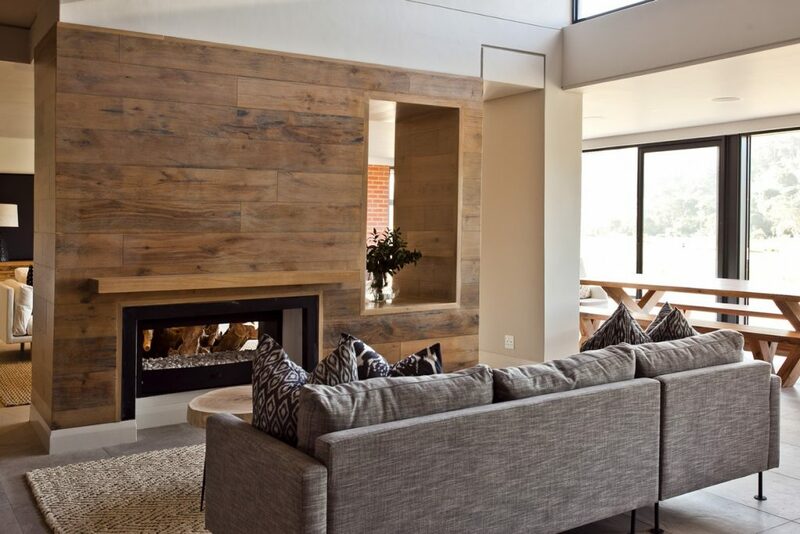 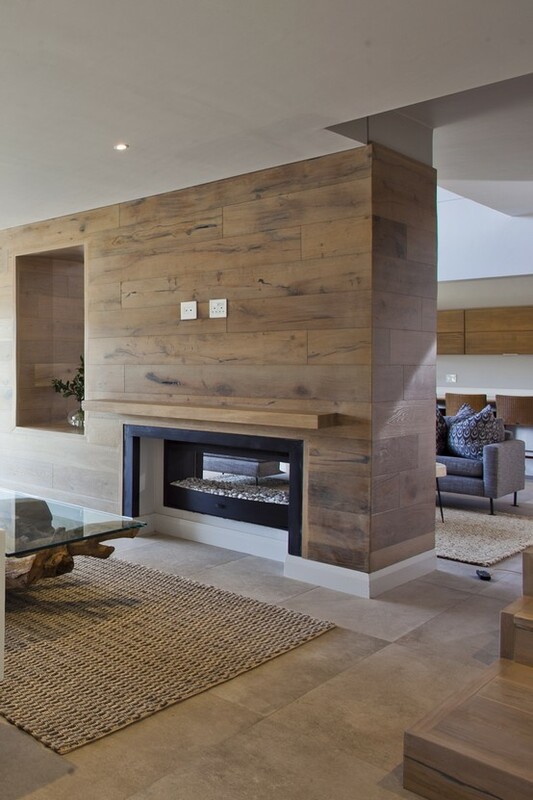 The large feature fire place and room divider required a unique, modern, warm and natural finish that tied all the areas together. 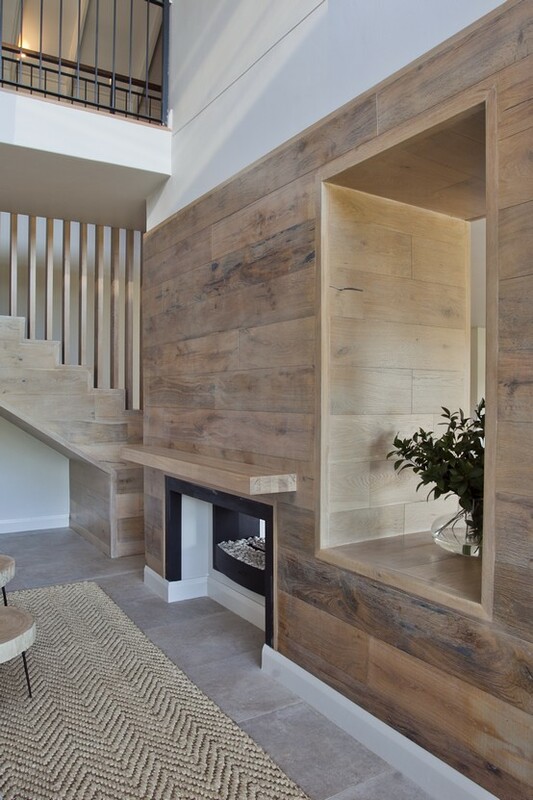 Selecting FinOak engineered wood flooring was the perfect solution. 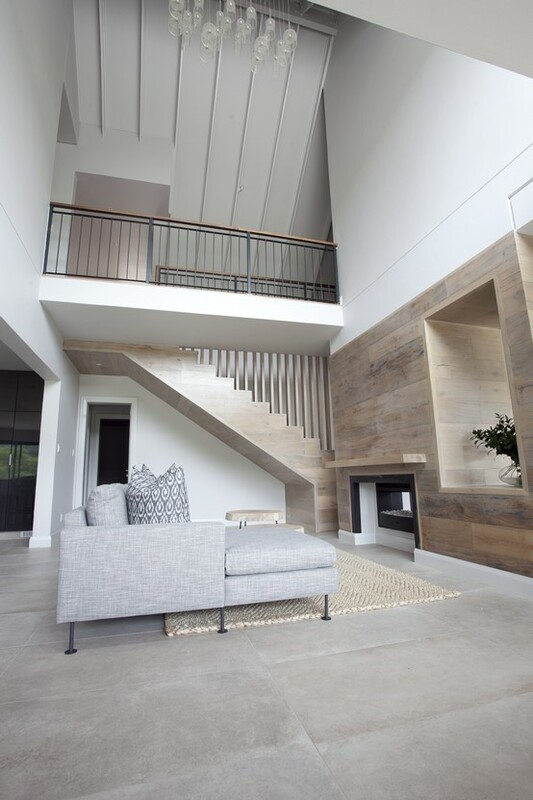 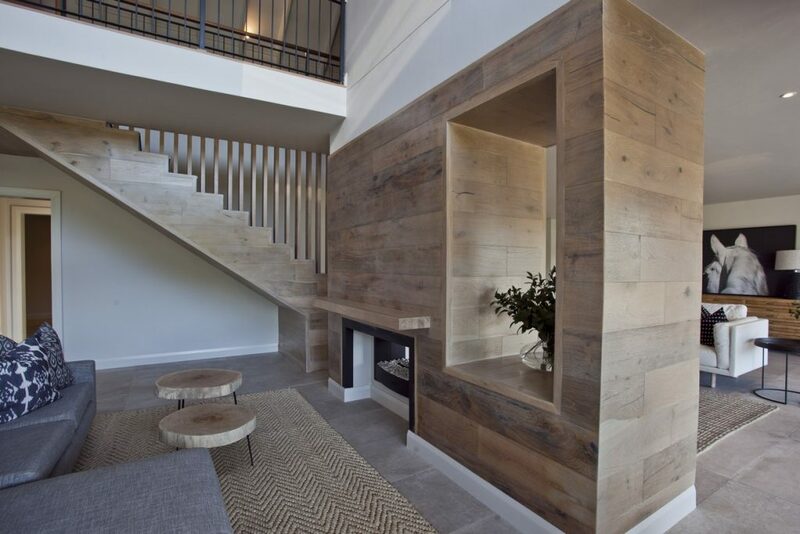 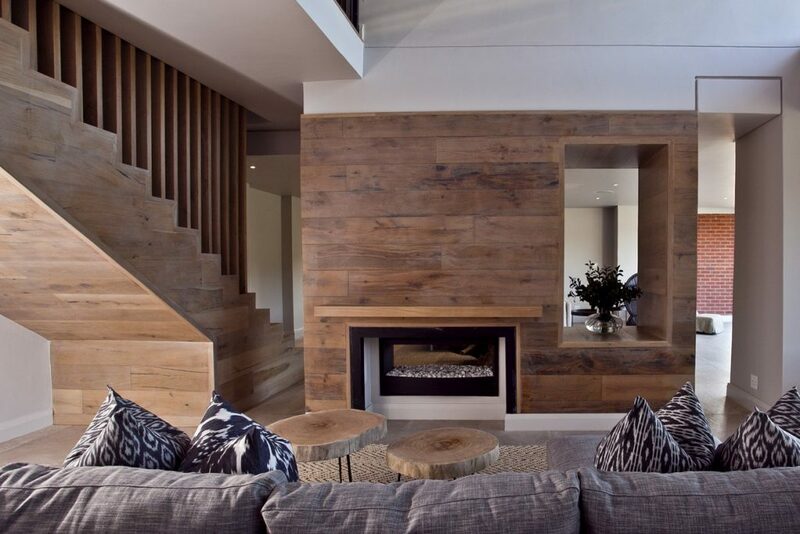 The focal wall with fireplace, staircase and first floor flooring were all finished with the Rustic grade FinOak. 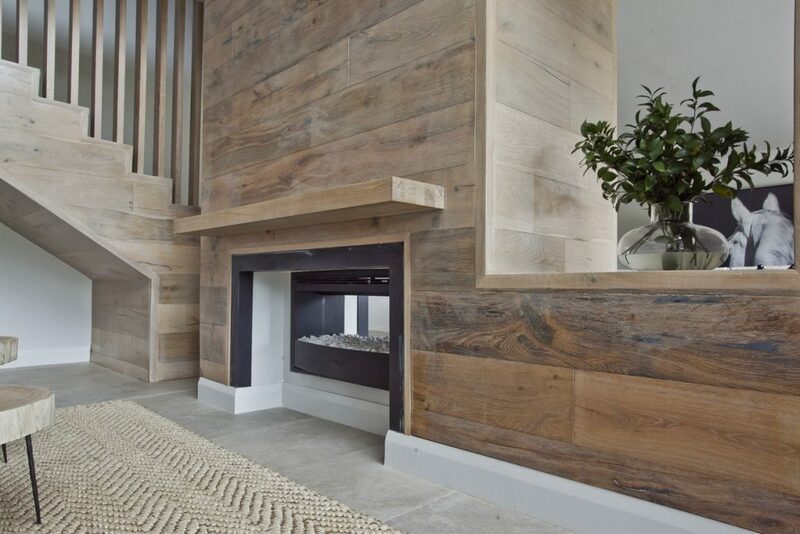 The visible knots and flaws present in FinOak rustic created the interest and character the the owners wanted on a feature wall.